Safe Cut Surgical Gloves Make Glove Removal Easy as Pie | OhGizmo! I’m sure you’ve worn gloves several times in your lifetime. Wearing them is fine, but trying to take them off can sometimes turn into a pretty annoying task. This is especially true when you have sweaty hands and the rubber is sticking all over the insides of your palms, and you’re just flailing around trying to get them off and they just stubbornly stay put. The solution? The Safe Cut Surgical Glove, which features simple addition to the design that makes a world of difference. Essentially, a tab is added to the base of the glove, which the wearer can pull to tear the glove off. It also prevents the sometimes unhygienic reuse of gloves, since the tab effectively causes a tear throughout the middle. 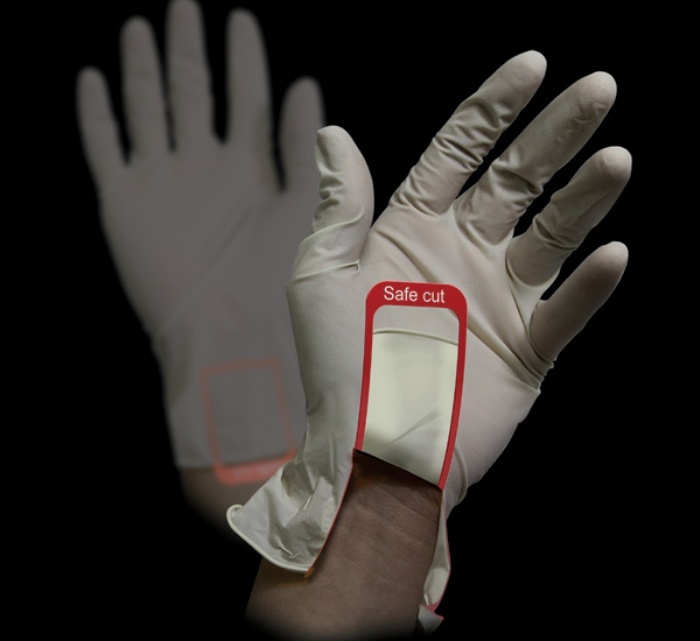 The Safe Cut Surgical Glove was designed by Park Bomin, Jung Sumi, and Chu Yeunho and is a 2012 Red Dot Award design concept winner.